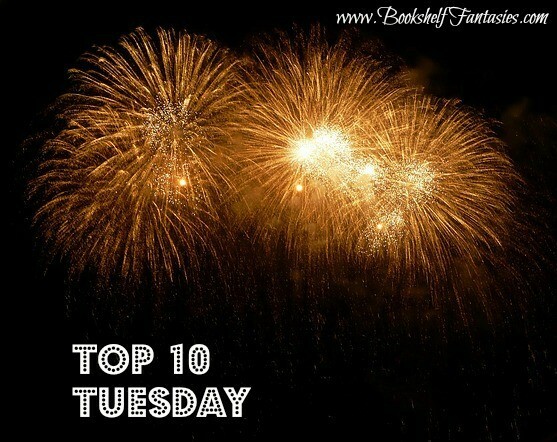 Top Ten Tuesday is a meme hosted by The Broke and the Bookish, featuring a different top 10 theme each week. This week’s topic is about hotly awaited sequels… the ones that keep us jumping and down in crazy anticipation. 5b) Fables, volume 22 (6/2015) … which I’m not really eager for because IT’S THE LAST IN THE SERIES! 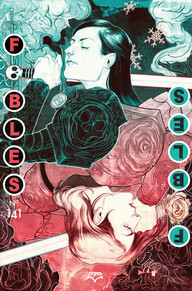 I’m seriously upset about Fables coming to an end. 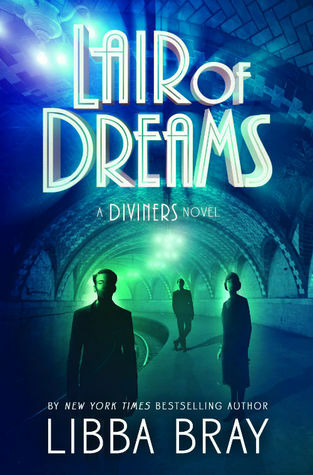 7) Lair of Dreams by Libba Bray (sequel to The Diviners) – to be released 4/1/2015… although at this point, it’s been so long since I’ve read The Diviners, I’m not sure how much I really care about continuing with the series. 8) Peace Talks by Jim Butcher (#16 in the Dresden Files series). 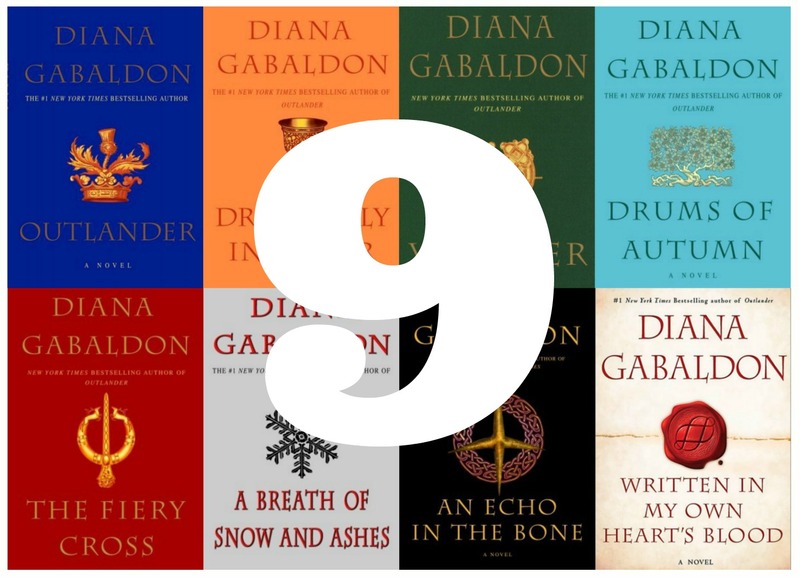 OK, yes, my top 10 list has 12 books on it… but the more the merrier! Did any of mine make your list? 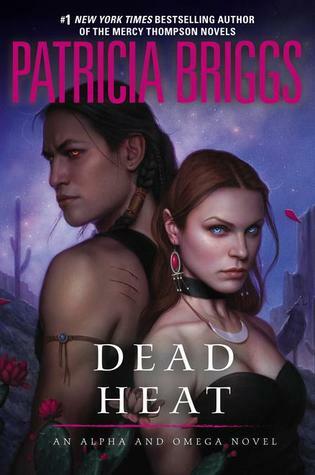 What sequels are you most eager to read? 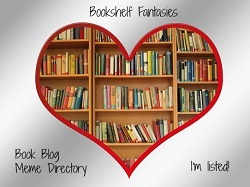 If you enjoyed this post, please consider following Bookshelf Fantasies! 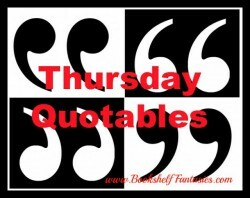 And don’t forget to check out our regular weekly feature, Thursday Quotables. Happy reading! I really wanted the diviners to be a stand alone 😦 I’ll definitely read the sequel but I hope it holds up to the original! That’s exactly how I feel! The Diviners could have wrapped up all its storylines and been a great stand alone. 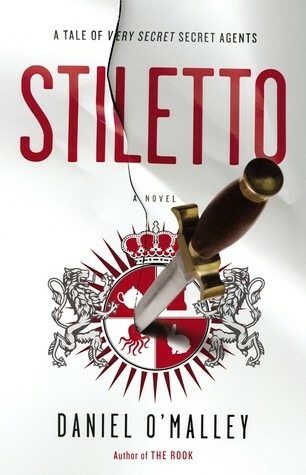 I hope the 2nd book lives up to the first, which was amazing. Ugh, and I just got an update from Amazon this morning saying the release is pushed back until July. I have a feeling I just won’t care enough to read it by that point. blarughhhhh. It keeps being pushed back and it’s just taking the mickey now! The Rosie Effect made my list, too. 🙂 I haven’t read Parasite yet but I really want to – I’m currently reading Blackout by Mira Grant and I’m loving it so I’d love to try out her other series. I really need to read the Newsflesh books! Parasite was the first (and only) book I’ve read by Mira Grant, and I thought it was so good, despite being pretty gross and disturbing! First, I love that you broke the rules. POST ALL THE BOOKS! 10 isn’t always enough, man. Second, HOW DID I FORGET WINDS OF WINTER I am a big fail. But for real I need that book asap. 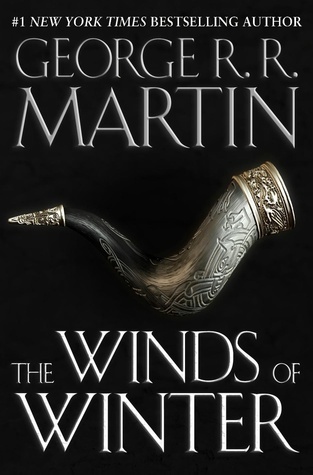 A. S. A. P.
Winds of Winter has a cover?! That’s always a good sign that things are at least sort of moving along — now if only I would finally find time to read those earlier books before the show gets completely ahead of me! YESSSS to the Winds of Winter, that needs to come. Now. I know… but I’m not holding my breath! Me neither, I love Martin but he *is* a slow writer. I’m pacing myself on A Song of Ice and Fire because I know I’m going to be too impatient for the next book (I’ve finished the first three so far). It’s also interesting to see Dresden Files on someone’s list – I’m hoping to eventually catch up with that series. So many books! 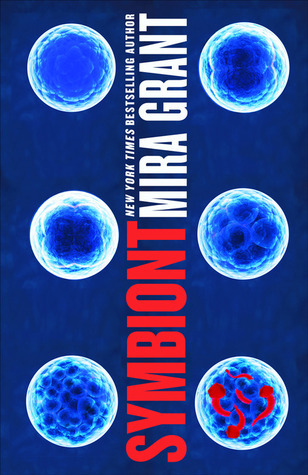 I didn’t even know Symbiont was about to come out! Prudence very nearly made it on to my list too. I really want to get my hands on Symbiont! The release date just kind of sneaked up on me… I didn’t realize until I started putting together this list that it was so soon. I liked The Rosie Effect but it didn’t quite match up to The Rosie Project for me. I hope you love it though! Thanks! That’s always the worry with sequels to books we love, isn’t it? How can they possibly live up to expectations? I just recently discovered Gail Carriger, and her books are AMAZING! 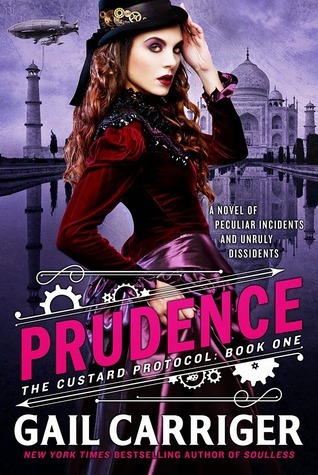 I am definitely curious about the first book in the Custard Protocol series. I’m not sure if I want to read The Rosie Effect. 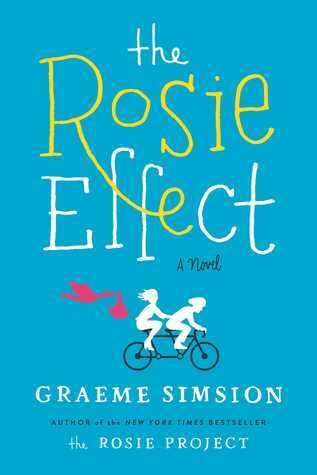 I thought The Rosie Project was amazing and I was very happy with the ending. But at the same time, more Don Tillman would be awesome! Which Carriger series are you reading — Parasol Protectorate or Finishing School (or both)? I know what you mean about The Rosie Effect. I’m really nervous about it somehow ruining how happy The Rosie Project made me! I’m reading both of Carriger’s series. I’ve read the first book in both series. I do have the audiobook for the second finishing school book, though, and will probably read that soon. 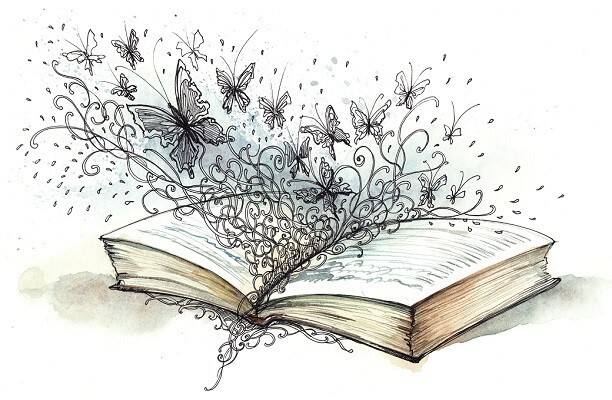 I’d love to hear what you think about the Finishing School books. 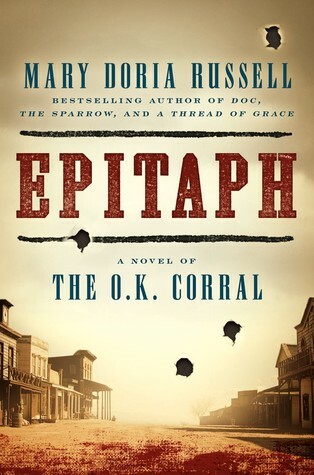 I wasn’t interested enough to continue past the first book, but I’d love to hear if I should give it another chance! I actually have the complete set (I think) of Gail Carringer’s Parasol Protectorate. I got them all in a book sale last year or two years ago (gasp!) but I haven’t opened them yet. Sad, I know. But I do hope you’ll enjoy all these really great looking sequels. Thanks! I hope you love the Gail Carriger books. I started reading them right when the very first one was published, and thought it was so clever and different and fun! Lair of Dreams!! I still have yet to read The Rosie Project and Outlander, I’m hoping to soon..they both look like such good reads! You’ve certainly chosen some great books as sequels. Thanks! There’s a lot to look forward to! Oh, well, Parasite, was pretty gross (tapeworms… ick), but I enjoyed the heck out of it! Don’t even get me started on the end of Fables, or there will be tears!